It's been a while since we heard from the tech giant Apple and it took a year to get the company to meet people face to face. This time they had a bunch of devices in hand for the customers and they are pretty promising too. 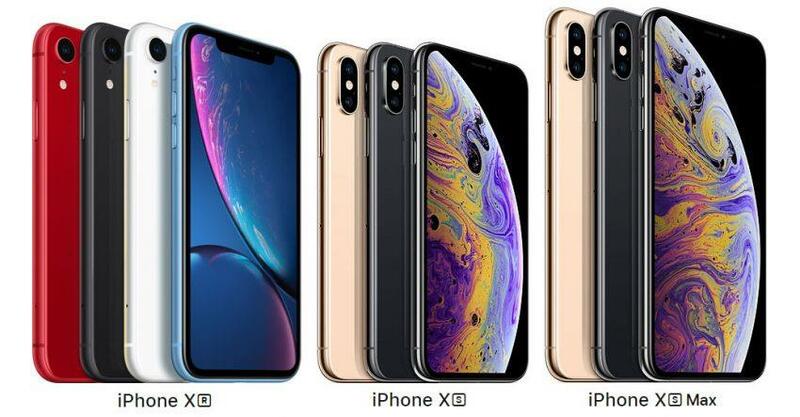 The new list includes the new flagship iPhone XS Max, its little buddy iPhone XS, the new iPhone XR which is supposed to be replacing the iPhone XR and Apple Watch Series 4 with new features. Let's go deep into each one of them. The all famed beauty of the Apple devices is still maintained in the newly announced devices too and the design is pleasing. The XS Max and XS come with a 7.7mm thickness design and weighs 208 grams. The XR comes with aluminum frame on all sides and has a thickness slightly more than the XS and XS Max at 8.3mm. XR weighs 194 g and XS weighs 177g. The XS Max display boasts a huge 6.5 inch Super AMOLED screen. The screen resolution is 1242x2688 pixels. XR features a 6.1 inch LCD display with 326 PPI and the XS comes with 5.8 inches Super AMOLED display with 458ppi. The XR comes with the IP67 rating which can resist dust and water and can withstand water at 1m depth for 30 minutes. The XS and XS Max go a level higher that is, IP68 rated which can stay in water at 2m depth for 30 minutes. All the three devices are equipped with scratch-resistant glass with the oleophobic coating in order to minimize the fingerprint smudges. Talking in detail about the hardware features, all the three devices come with the latest A12 Bionic Chipset, which is an upgrade for last year's A11 Chipset. All the 3 devices will be available in 3 different storage variants. For the XR its 64/128/256 GB and for the XS and XS Max its been increased to 128/256/512 GB just like the Samsung Note 9. In case of the RAM, XR packs 3 GB meanwhile the XS and the XS Max offers 4GB of RAM. Let's get to another interesting factor that differentiates Apple from the others and it's obviously the camera. The little camera on XR packs a 12MP single shooter and on the rear with f/1.8 aperture accompanied by quad LED dual-tone flash. Apple has managed to introduce Portrait mode on the XR despite the single shooter given on the back. The XS and XS Max comes with 12MP (f/1.8) + 12 MP(f/2.4) dual rear sensors and is capable of shooting videos of 4K quality. On the front, we have 7MP (f2.2) for your sweet selfies and video calls. It can shoot videos up to 1080p resolution. Optical Image Stabilisation is there in all the three devices and just to mention FaceID, Animoji and Memoji are a part of all the three devices. Next, come the battery and the company has not said much about the exact number. All we have is that the XS will stay about 30 minutes longer than the iPhone X and the XS Max will be there 1.5 hours than the iPhone X. The XR will stay 1.5 hours longer than the iPhone 8 Plus. The exact number will only be revealed once the devices hit the stores. The new iPhone XR will be the least priced iPhone this year and the 64GB variant will be priced at Rs.76,900. The 128 GB and 256 GB will cost about Rs. 81,900 and 91,900 respectively. The XR will be available for the customers in a wide verity of colors and the list includes white, black, blue, yellow, coral and the RED. The XS and the XS Max will come in space grey, silver and gold edition. The 128GB variant of the XS and XS Max will cost Rs, 99,900 and Rs. 109,900 respectively. At the same time the 256 GB variants are priced at Rs.1,14,900 and Rs.1,24,900. At last the 512GB version of the XS and XS Max is priced at Rs.1,34,900 and Rs.1,44,900. If you are planning to buy any of these there is a bit more info for you too. The XR will be available for pre-order from October 19 and the sale is expected to start by October 26. The XS and XS Max will be available for purchase by September 28. They have done it again and with the increase in price, they have managed to put some effort into it by introducing the new Bionic chips and the new iOS12. The new star will probably be the iPhone XR which is the "affordable" one among them. For the Indian markets, the XR will be the news and the fate of XS and XS Max can only be confirmed after the sales. What do you think? Over-priced or worth it? Well, let's see how the Indian market is going to treat the new X devices.